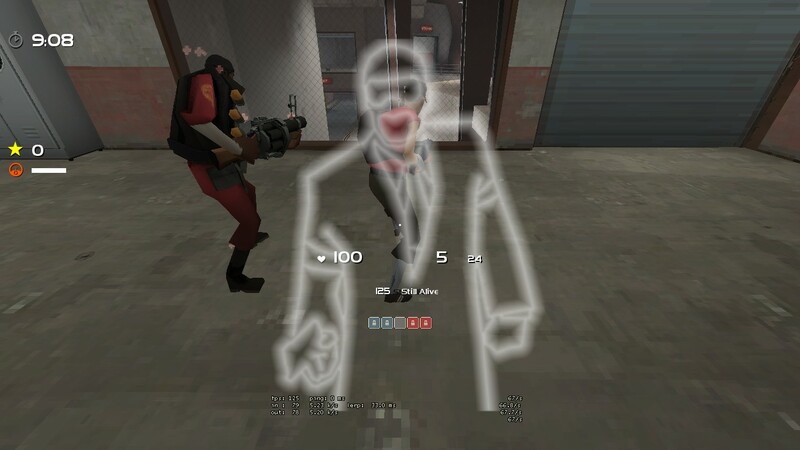 dropiHow i can fix target id and remove that spy when i disguise. [quote=dropi]How i can fix target id and remove that spy when i disguise. What would i do if i wanted the menu from Sylvhud? CoolMaxSUpremeWhat would i do if i wanted the menu from Sylvhud? [quote=CoolMaxSUpreme]What would i do if i wanted the menu from Sylvhud? Ok here's my question. My text in mvm chat is very small. Is there a known fix? Googled hasn't been helpful on this adventure. Thanks! DaneOk here's my question. 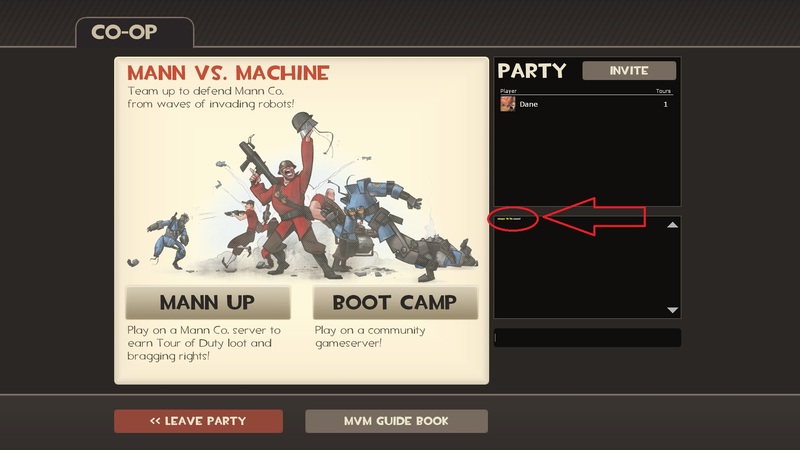 My text in mvm chat is very small. Is there a known fix? Googled hasn't been helpful on this adventure. Thanks! That is a very basic question, perhaps some screenshots? b4stian DaneOk here's my question. My text in mvm chat is very small. Is there a known fix? Googled hasn't been helpful on this adventure. Thanks! That is a very basic question, perhaps some screenshots? I will take a screenshot if I remember next time it comes up but if anyone knows what I am talking about how do I disable the "On the bright side, last round you came close to..." thingy? Took me a little while, but I found the thread where this was covered before. So this may be a dumb question, but is there any way to change the size of the console when it opens up? I have -console set as a launch option because I like having the console pop up, but I don't like how wide it is aesthetically. Is there any way to make it permanently smaller so it doesn't overlap the button text? Also, I edited the buttons of my main menu to make them server shortcuts, but now when I'm in a server the spacing is messed up. The resume button and the top button overlap. As well as my second button returned to what it was originally (quickplay). First one: how do I enable this? (the you are attacking dialog) Which .res file is the code contained? Thanks in advance! ninjajiroSo I played randomizer today, and I noticed this. Is there anyway to move the item bars so they don't overlap with the ammo? On an unrelated note, could someone tell me where all the code related to doomsday is? like what .res files? Still needing help on these questions, Sorry if it's a bit much, but any help would be appreciated! First one: how do I enable [url=http://imgur.com/HgGiuTF,dWV8Nz3#1]this[/url]? (the you are attacking dialog) Which .res file is the code contained? [quote=ninjajiro]So I played randomizer today, and I noticed [url=http://imgur.com/Na0tiHk]this[/url]. Is it possible to put arbitrary HTML or load a specific url into an htmlcontainer in a hud? deszaSo this may be a dumb question, but is there any way to change the size of the console when it opens up? I have -console set as a launch option because I like having the console pop up, but I don't like how wide it is aesthetically. Some buttons are only visible in the mainmenu and others only ingame. There are two values in gamemenu.res, OnlyInMenu and OnlyInGame (or something similar) to change that. I guess that your coop button is only in menu so it doesn't show ingame and the resumebutton is only ingame so it overlaps with the first server. Probably the same for quickplay button. There are two quickplay buttons, one for mainmenu and one for ingame so you probably wanna check that one aswell. [quote=desza]So this may be a dumb question, but is there any way to change the size of the console when it opens up? I have -console set as a launch option because I like having the console pop up, but I don't like how wide it is aesthetically. Is it possible to have a text display on my hud that shows my current sensitivity in-game numerical value? JBSome buttons are only visible in the mainmenu and others only ingame. There are two values in gamemenu.res, OnlyInMenu and OnlyInGame (or something similar) to change that. I guess that your coop button is only in menu so it doesn't show ingame and the resumebutton is only ingame so it overlaps with the first server. Probably the same for quickplay button. There are two quickplay buttons, one for mainmenu and one for ingame so you probably wanna check that one aswell. Perfect, got it to work. Thanks! Still would like to know if there is any way to permanently resize the console window. is it possible to make a MainMenu button that opens url in the overlay web browser? Any ideas guys? GentlemanJonIs it possible to put arbitrary HTML or load a specific url into an htmlcontainer in a hud? I am still in desperate need of any help at all figuring out what the hell I did wrong. This is my TargetID.res file here: http://pastebin.com/27m4y55K. I'm not sure what else to mess with as of right now. 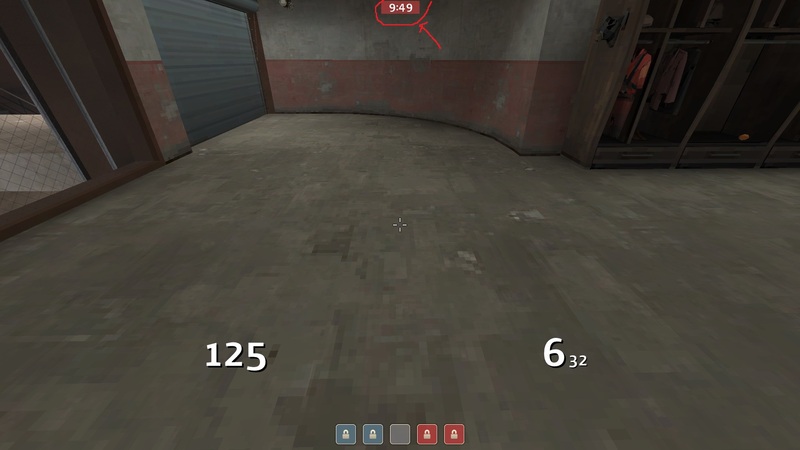 I have no idea what changed in the last three months since I last touched TF2 to make my HUD do this either. keepertonI am still in desperate need of any help at all figuring out what the hell I did wrong. Not 100% sure but tf_hud_target_id_disable_floating_health 1 should help. [quote=keeperton]I am still in desperate need of any help at all figuring out what the hell I did wrong. Whats the element for the timer at the top, I want to remove it for frag video hud I'm making. Where in the gamemenu files can you re-enable the welcome back message that Valve removed so long ago? Took a little digging, but I found his post here, for anyone else who might be interested in grabbing the code for themselves. Took a little digging, but I found his post [url=http://rebelconquer.net/thread/8247/show-your-hud-modifications/?page=60#346623]here[/url], for anyone else who might be interested in grabbing the code for themselves. _Kermit keepertonI am still in desperate need of any help at all figuring out what the hell I did wrong. I still want the health thing, just not where it is now. It used to be right above the characters' heads. Edit: you were right and are my savior. That fixed it completely. [quote=_Kermit][quote=keeperton]I am still in desperate need of any help at all figuring out what the hell I did wrong. Could someone tell me how to gett rid of the grey bg on this and turn it to this? Could someone tell me how to gett rid of the grey bg on [url=http://imgur.com/AWRGvpv,RZUBXXS]this[/url] and turn it to [url=http://imgur.com/AWRGvpv,RZUBXXS#1]this[/url]? Yo. Back with another question. How can I change the loading screen wallpaper? Anyone know how i can remove the "Other players on your team" text bottom right? I cant seem to find it in classselction.res. Also is there a way to replace the class icons, if so can someone link me to an explanation or something. Thanks!